Different dogs need different diets, and your pooch’s breed can go a long way towards determining which type of food is right for them. Maltese dogs fall into the ‘toy’ or ‘companion’ breed category. They’re intelligent, gentle, and love human company. When it comes to feeding, these diminutive pooches need a high energy diet that can keep up with their playful attitude. With so many dog food on the market right now, finding the perfect choice for your Maltese can be a real challenge. 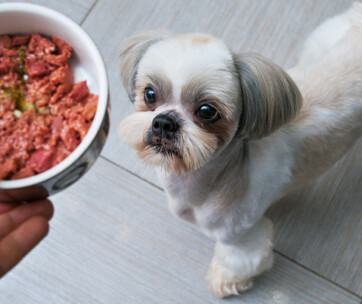 That’s why we’ve compiled this handy guide: below, we list our top 10 Maltese dog foods, so you can rest assured your canine companion is well taken care of in the diet department. Because your dog’s weight, activity level, and age also play an important role in determining their diet, we’ve been careful to include foods that are suitable for puppies, adults, and senior dogs alike. To give you a better understanding of the Maltese breed overall, we’ve also answered some common questions about what to expect when adopting one. 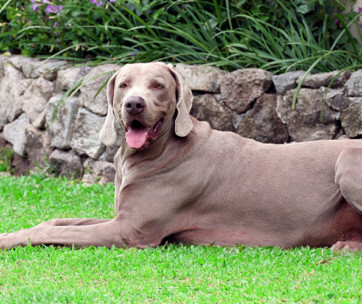 Blue Buffalo are a well-known presence on our dog food buying guides – and for good reason. Their healthy dog food recipes always feature real meat as the number one ingredient, giving your dog the healthy protein they need to thrive. This particular formula was blended with small dogs in mind, and contains the extra carbohydrates and protein they need to maintain those famous energy levels. With its small kibbles – perfect for those dainty mouths – there’s no need to worry about choking hazards, even if your dog has a tendency to wolf down their food. These delicious chicken kibbles are accompanied by Blue Buffalo’s patented LifeSource Bits. These soft-textured nibbles are specially blended to provide your dog with all the vitamins and minerals they need for excellent overall health. Formulated with the help of veterinarians, these Bits contain nutrients sourced from fruits and vegetables such as sweet potato and cranberry. Antioxidants support your dog’s immune system, while Omega three and six fatty acids help to keep that flowing coat in tip top condition. If your Maltese pooch has a sensitive stomach or food allergies, this grain free formula could be the perfect feeding solution. In this blend, the grains commonly found in commercial dog food are replaced with potatoes and legumes, for slow release energy. As with most high quality dry foods, real meat – in this case turkey and chicken – constitutes the bulk of the formula. This tasty poultry offers your Maltese all the protein they need to thrive. The food’s calorie-dense recipe is ideal for smaller dogs, helping to support their energetic and playful lifestyles. Alongside its tukey and chicken base, the food is enriched with all the nutrients dogs need for overall bodily health. Vitamin E and Omega fatty acids support their hair and skin, while calcium promotes strong bones. The food also contains probiotics, for better digestive health. The food is also free from soy, meat by-products, and artificial colors, flavors, and preservatives. 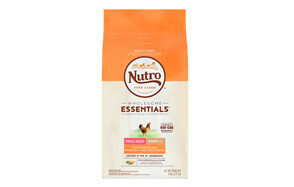 The next item to earn a spot on our list is this small breed puppy food by Nutro. With its rich recipe, the formula makes an ideal Maltese puppy food. At its core, tasty farm-raised chicken offers your puppy the protein they need for all the growth they have ahead. 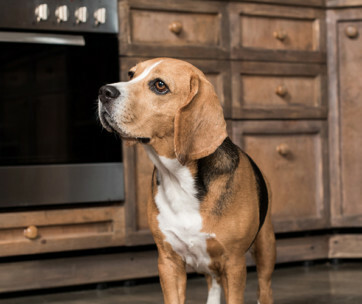 Healthy brown rice and sweet potato in the mix adds a hearty flavor, and gives your pup the carbohydrate boost they need for consistent energy. The recipe is rich in Omega three, too, promoting healthy growth and development throughout the body. Meanwhile, added calcium supports strong bones and joints. Free from corn, wheat, and soy, as well as artificial preservatives, the recipe is ideal for a puppy’s sensitive system. It’s also full of fiber, to help with digestive health, and pups love the hearty taste. Overall, we think that Nutro’s blend earns the title ‘best food for Maltese puppy’. The next grain free recipe to find a place on the list is this natural food by our perennial favorite, Blue Buffalo. Featuring real chicken as its primary ingredient, the recipe offers your Malese the rich protein they need for muscle support and energy. Alongside the chicken, wholesome fruits and vegetables provide the extra nutrients dogs need for great overall health. With slow-release carbohydrates derived from peas, the food provides your small dog with the energy they need to run and play. Like all Blue Buffalo foods, this recipe also features unique LifeSource Bits. These satisfyingly chewy kibbles give dogs the blend of nutrients they need for general wellbeing. Antioxidants support the immune system, while Omega six fatty acids promote healthy skin and hair. Alongside these nutrients, calcium supports healthy bones, and B vitamins help maintain metabolic rate. Every bite is free from corn, wheat, soy, and artificial flavors and preservatives. Merrick have also earned themselves a spot on our list, with their Texas beef and sweet potato recipe. The tasty wet food is 70% beef, giving your Maltese the rich protein they need. The remaining 30% consists of wholesome produce, offering a unique blend of vitamins and minerals tailored to small breed health. Rich in Omega three and six fatty acids, the food promotes skin and coat health, for a lustrous appearance. It’s also enriched with antioxidants, helping the immune system to function as it should. Finally, glucosamine supports healthy, functioning joints. The blend is also gluten free for improved digestibility, and you won’t find any grains or poultry inside either. In other words, this could be the perfect option when poultry or wheat just doesn’t agree with your pooch. The next recipe to make it onto our list is this dry option by Wellness Natural Pet Food. The carefully tailored formula is designed to help smaller dogs achieve and maintain a healthy weight. At its core, tasty turkey provides all the lean protein pooches need for healthy muscles and energy. Meanwhile, hearty brown rice offers a great source of complex carbohydrates for, consistent energy levels. Each tasty kibble contains 16% fewer calories than other adult recipes, helping pudgy pooches to shed those extra pounds without feeling hungry. Despite its diet credentials, the food contains all the nutrients dogs need for a healthy life. Omega fatty acids keep skin and coats and tip top condition, while vitamins A and E support a healthy immune system. Alongside these vitamins, calcium supports strong bones and teeth, while pre and probiotics promote a regular and comfortable digestive tract. 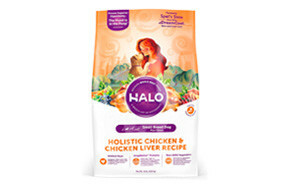 Halo have also earned a spot on our list, with their natural and holistic small dog formula. Farm-raised whole chicken is the number one ingredient – ethically sourced from producers who never use antibiotics or growth hormones. This lean and tasty protein is accompanied by a selection of non-GMO fruits and vegetables. These healthy treats provide your small dog with the nutrients they need for great overall health. 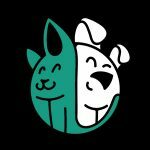 With small, digestible kibbles, the blend is specially designed for smaller breeds, taking into account their diminutive jaws and short digestive tracts. Free from artificial colors, flavors, and preservatives, the food won’t irritate those finicky stomachs. You can feel good about every bag of Halo you purchase, too – for every product sold, Halo donate one bowl of food to an animal in need. If you’re searching for the ideal senior dog food, look no further than Orijen. Their special formula is designed to support small breeds through their golden years, with lean protein, fruits and vegetables, and joint-friendly ingredients. 85% of each bag consists of poultry and fish. This tasty blend isn’t just appealing – it’s healthy, too. We all know that oily fish is great for the joints, and Orijen’s formula contains plenty of mackerel to provide this supportive function. Meanwhile, calcium in the food promotes strong bones and teeth, while glucosamine further supports the joints. It’s free from grains, too, making it a great choice for dogs with sensitive stomachs or allergies. Each bag is made with care in the USA. The next Maltese dog food to earn a spot on our list is this tasty formula by Fromm. Blended and produced in the USA, the specially crafted recipe is perfect for diminutive dogs. The delicious recipe hinges on a blend of duck, chicken, and lamb, providing dogs with all the protein they need for healthy muscles. Alongside this rich and natural protein, real Wisconsin cheese provides a balanced source of calcium and fat. The enriched formula also contains probiotics to encourage healthy digestion, and fish oils to promote healthy skin and hair. Finishing off our list is this tasty natural formula by Earthborn Holistic. Specially formulated for dogs under 20 pounds, this complete dry food offers your Maltese all the nutrients they need for a happy, healthy life. The deliberately small kibble pieces are easy for small jaws to chew, helping your dog to fully enjoy their food. The grain-free formula hinges on lean chicken and whitefish, which provides all the protein an active dog needs. Instead of grains, the recipe depends on green peas for a healthy source of carbohydrates. Along with these basic nutrients, the formula also contains all the vitamins and minerals your dog needs for a healthy happy life. Flaxseed provides Omega fatty acids, essential for maintaining healthy hair and skin, while antioxidant rich fruits support your dog’s immune system. The recipe is designed to be as easy to digest as possible, allowing you pooch to get the most out of every mouthful, and reducing the number of toilet breaks they need. These 10 foods are the best on the market right now when it comes to supporting your Maltese dog. Whether they’re active or dozey, young or old, easy going or picky, we’re confident there’s something on our list for everyone. To help you make an informed decision, we’ve put together this buying guide. Below, we discuss what to look out for in a Maltese dog food, and how to properly feed this popular breed. This ensures your dog can comfortably eat the food, and reduces the risk of choking. It may sound counterintuitive, but small breeds, the Maltese included, have faster metabolisms than their larger counterparts. To give your pooch the energy they need, look out for a protein rich formula, containing around 15% fat. Because small dogs are more prone to dental problems, dry food is usually best. Crunching kibble helps to keep plaque and tartar off their teeth. AAFCO is the American Association of Feed Control Officials. 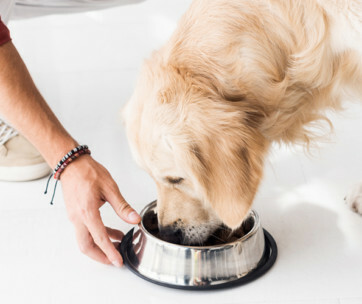 The body performs nutritional tests on various dog foods, which must ‘provide complete and balanced nutrition for the maintenance of adult dogs’ in order to be granted approval. Look out for this sticker to ensure the food is of high quality. Maltese puppies grow quite rapidly, so they’ll need all the protein and fat they can get. Look out for food with a protein content of at least 22%, and a fat content of at least 8%. Fat is a dense energy source, which helps puppies to grow quickly. During this stage of development, calcium will be an important mineral. It helps you pup to grow strong teeth and bones at this vital stage of their life. 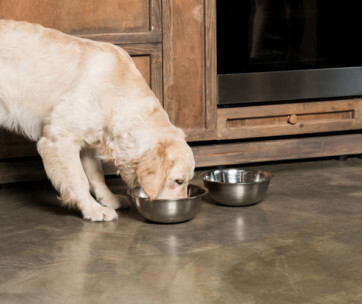 At 12 months of age, you can make the transition from puppy food to adult food. Adult Maltese food should contain plenty of animal-derived protein - at least 18% - to ensure sustain a healthy muscle mass. Fat is still an important energy source at this point, so look out for foods with a fat content of at least 5%. To help your dog stay fighting fit, we’d also recommend a food with B vitamins for a healthy metabolism, and antioxidants to support the immune system. Since Maltese dogs are quite prone to allergies, including some Omega three and six in their diets can help keep itchy skin at bay. At eight or nine years old, it’s a good idea to switch your Maltese to a senior dog formula. Since older dogs tend to exercise less, you may need to select a reduced calorie food (such as number six on our list) to maintain a healthy weight. At this stage in their life, your Maltese will also benefit from joint-friendly ingredients, such as glucosamine. Soy - this is a surprisingly common allergen among dogs, and best avoided if possible. Artificial Colors, Flavors, or Preservatives - These additives can irritate the digestive tract and skin, so are best avoided. Fillers - Some low quality dog foods contain fillers such as corn bran, rice bran, and hulls, to bulk out their formula. These ingredients only dilute the food’s nutritional value, so small dogs with a high demand for energy should avoid them. Like many small dogs, the Maltese is particularly prone to dental issues, such as tooth loss and gum disease. You can combat this tendency with a regimen of regular tooth brushing. It’s also a good idea to avoid giving your Maltese human foods. Because of their long facial hair, a Maltese dog’s eyes are prone to irritation and ulcers. To help prevent these conditions, perform regular trims, and consult a vet as soon as you notice an eye issue. Eye ulcers can be easily treated with a topical solution when caught in time. This condition affects blood circulation to the liver, which prevents blood from being properly filtered of toxins. Left unchecked, the condition can be fatal. Luckily, it can be treated - with surgery, medication, or diet. Thanks to their long, flowing coats and floppy ears, ear infections can occur quite easily in Maltese dogs. 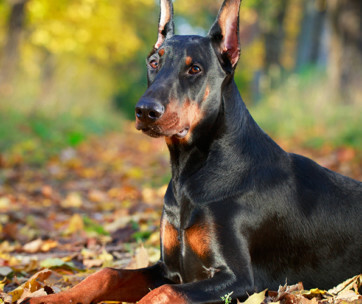 To help prevent infection, consider some preventative dog ear drops, and trim the hair in this area. Patellar luxation refers to the dislocation of the kneecap. This condition can be treated with weight management and painkillers. To reduce this risk of your dog developing Patellar luxation, ensure they aren’t overfed, and get the appropriate amount of exercise. Q: What should I know about maltese puppies? Q: How often should I feed my maltese? A: Like most dogs, your Maltese should be fed two main meals each day - in the morning and evening is usually best. In between, they can be offered healthy snacks, but be careful not to overdo it, since overweight dogs are more prone to serious health problems. Q: How much should I feed my maltese? A: Some dog foods are much richer than others, so it’s important to read the label if you’re to prevent overfeeding. As a rule of thumb, Maltese dogs should be fed between one quarter and three quarters of a cup of dry food each day. 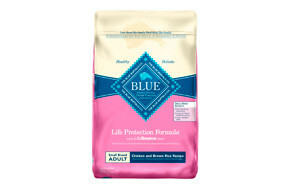 To us, the best dog food for Maltese pooches is Blue Buffalo’s unique Life Protection Formula. Made with real chicken - never reconstituted ‘meat meal’ - the food provides your small dog with the rich protein kick they need to flourish. Alongside this tasty chicken, patented LifeSource Bits offer your dog all the extra nutrients they need for a happy and healthy life. Formulated with the help of real veterinarians, the Bits contain vitamins and minerals including antioxidants for a healthy immune system, and Omega fatty acids for a healthy coat. The kibble’s small size is ideal for diminutive dogs, since there’s no need to worry about choking. Its unique shape has been specially designed to help prevent tartar buildup on the teeth, too. This keeps dental problems - common in smaller breeds - firmly at bay. Overall, this tasty and nutritious food is a great way to deliver your Maltese everything they need for a healthy life, naturally. What is the Best Time to Feed Your Dog?